Tidy is a brand that is part of the larger Purina group of pet products. It specialises in a range of litter products to help keep your home clean, tidy and smelling fresh but also to helping the wider pet world. 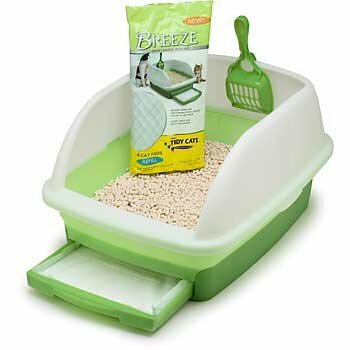 The Breeze litter box system is a clever idea that works by separating liquid mess from solid mess in the tray. Liquid mess passes through the pellets in the tray and is collected on the special pad on a sliding tray underneath the main litter box area. Meanwhile the solid mess sits on the top of the pellets for easy daily removal. It is recommended to change the pad once a week and the pellets entirely every month for maximum effectiveness. Changing a litter system for your cat is something that needs a careful approach to avoid some unpleasant side effects. Firstly, mix a bag of the new litter with the current litter you use and put in the litter tray. It is normal for your cat to sniff it, kick it around and even have a chew of the new stuff but this is perfectly safe. This allows them to figure out what this new substance is and what it is used for. If you haven’t used a box system like the Breeze one before, put the new box beside the old one. 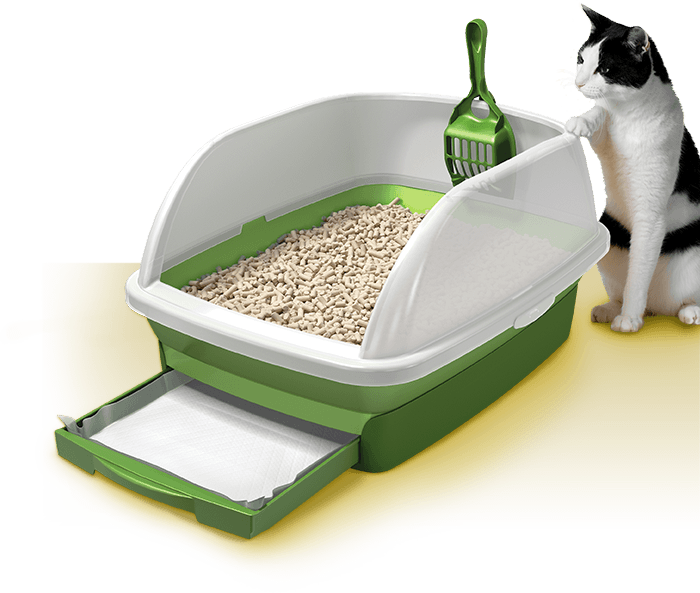 Once your cat has accepted the new litter you can phase out the old stuff and starting putting the litter into the new Breeze box. Some cats don’t like high-sided boxes so the side walls can be removed to accommodate your cat’s preference. The next step sounds a bit off-putting but is the best method – stop cleaning out the old litter box. This will make the new one seem so much more attractive to mess-sensitive animals like cats that a switch over will make sense. Once the cat is using the new box, you can remove the old one completely. Remember never to force your cat into the box because then he or she will come to see it as something unpleasant and to be feared and will never use it. Have patience and let them make the switch in their own time. As well as making the litter cleaning process easier, the Tidy products make use of their research in areas such as odour elimination to make the smells associated with cat mess less offensive and chemical and physical absorption of the mess to make cleaning easier.